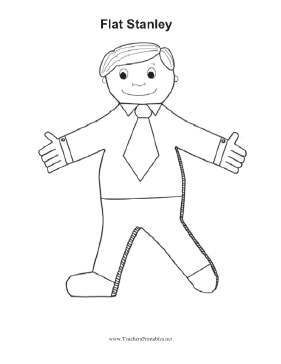 This printable Flat Stanley doll or cutout can be colored in and taken on educational travels around the world. Great for building literacy, math, and geography as children write about the Stanley character and his adventures. Make new friends sending Stanley to other schools and write in a journal about the destination.